There are two types of yellowthroats seen in North America. The Common Yellowthroat is a native bird whose habitat covers a large range on the continent. 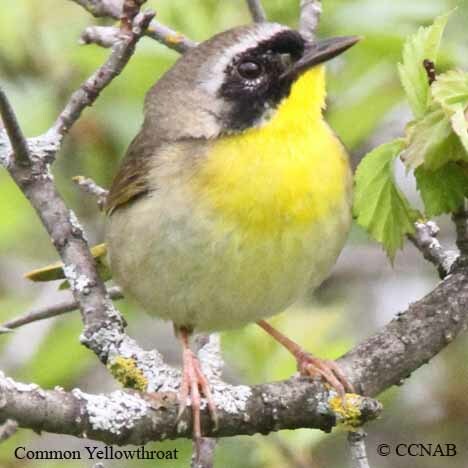 The Gray-crowned Yellowthroat is a vagrant, a visitor from Mexico and Central America, that has been seen and identified north of the Rio Grande. The yellowthroats are members of the warbler family. These small birds make their habitat in low lying thickets and briers and are found mostly along the edges of fields and roads. Both species are shy birds who will remain hidden all the while sounding alarm chirps when approached.